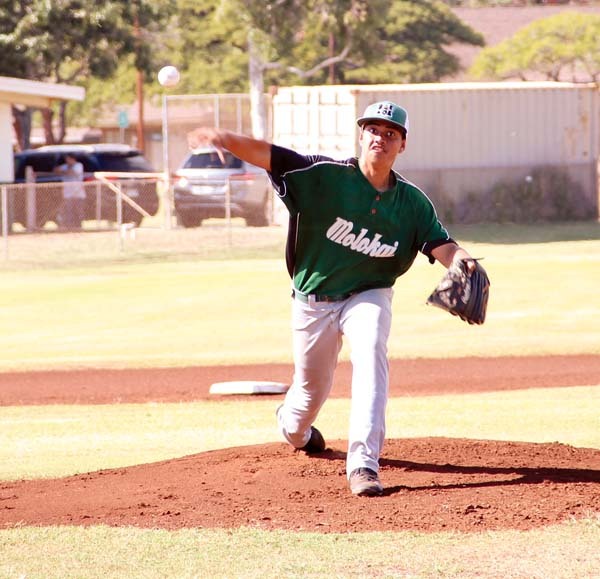 KAHULUI — Hana High School has not fielded a baseball team since 2007. Twelve years later, the Dragons are back on the diamond and competing hard. 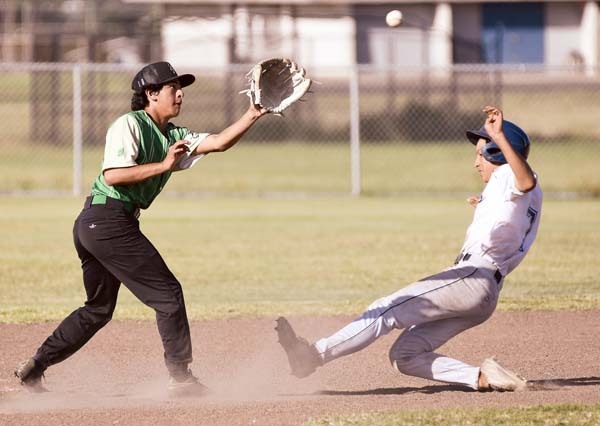 After two mercy-rule losses to Seabury Hall last week, the Dragons took St. Anthony the distance on Friday at Maui High field, albeit in a 7-4 loss. The Dragons had the tying run at the plate in the top of the sixth and seventh innings. 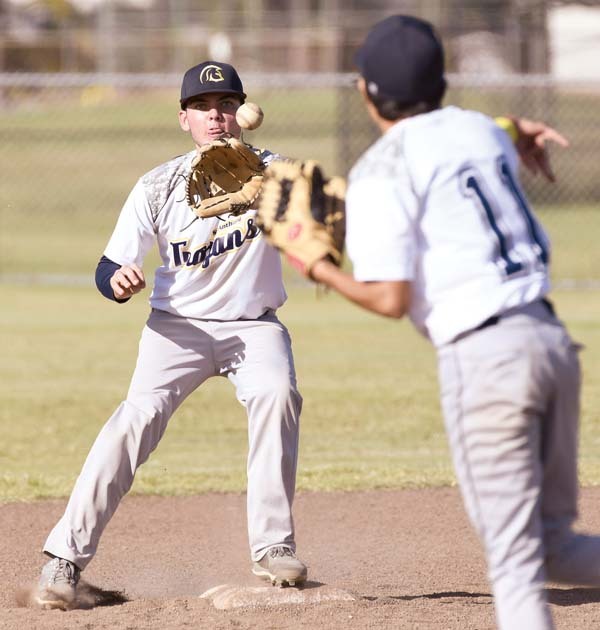 They pulled off a nifty double play to end the bottom of the sixth and outhit the Trojans 6-2. Nahinu Lind is the only senior on the Hana roster, which included just nine players on Friday. After Hana scored a run in the top of the first on an error, the Trojans took a lead they would not relinquish with three runs in the bottom of the first. Hunter Otani and Geste Ornellas each had RBI singles. St. Anthony pushed the lead to 5-1 in the second inning, scoring twice without a hit as the Dragons committed three errors. Loea Helekahi Matsuda drove in two runs on a single and Xade Vasquez smacked an RBI double to pull the Dragons within 5-4 in the third. St. Anthony scored twice in the fourth, the first run coming on an error and the second on a sacrifice fly by Otani. Otani, the catcher and one of two seniors on the Trojans’ 15-player roster, was happy to see Hana on the field. Otani said he is enjoying his senior season. 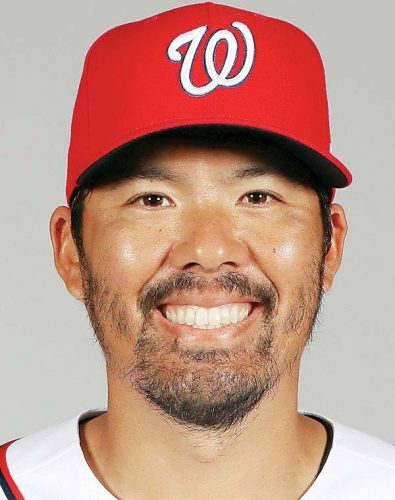 “I love my boys, I love playing baseball — any day I can play baseball is a good day,” Otani said. The Trojans (1-2) played six-time defending MIL D-II champion Molokai last week and lost both games. In fact, the Trojans had nine on their roster just three years ago, according to coach Lionel Montalvo. Montalvo was happy to see Hana back on the field, too. Blade Hoopai, Loea Helekahi Matsuda (6) and Irie Pu-Akima; Jonathan Vergel De Dios, Matthew Sylva (7) and Hunter Otani. W–Vergel De Dios. L–Hoopai. Sv–Sylva. 2B-Hana: Xade Vasquez, Blade Hoopai. Iokepa Pelekane and Kaimana Nakayama; Devin Vidad, Naighel Calderon and Kane Tubera. W–Pelekane. L–Vidad. 2B–Molokai: Nakayama, Laysen Bush. 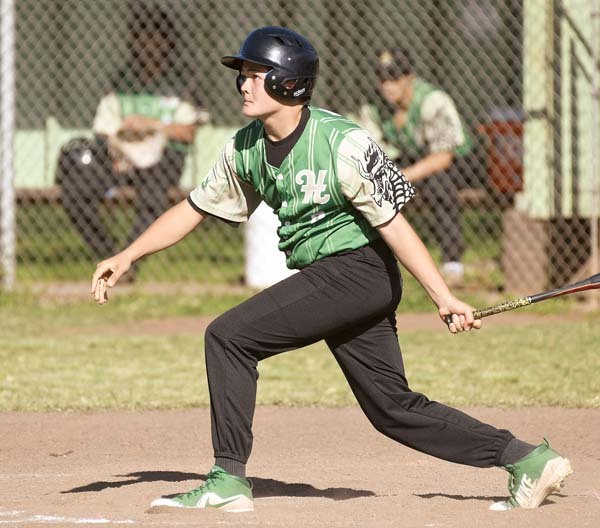 Leading hitters–Molokai: Slater Oswald 2-3, 2 RBIs; Jordan Kupau 2-3, run, RBI. Gavin Grossman, Ruder Antolin (5), Zach Hokoana (6) and Mike Beesing; James Smythe and Kealaula Medeiros. W–Smythe. L–Grossman. 2B–Lahainaluna: Kamahao Acpal, Kalewa Kalanikau, Kainalu Kaililaau. Leading hitters–Lahainaluna: Smythe 2-4, run, RBI; Kaililaau 2-4, run, RBI. Aizeah Lakalaka, Tyrell Ruiz (5) and Keelan Yagi; Keoni Painter, Rio Moleta (4), Tristan Catan (8) and Ross Panlasigui. W–Ruiz. L–Moleta. 2B–Maui High: Kory Shirota; Kamehameha Maui: Taylor Arashiro Mamuad, Konnor Palmeira. Leading hitters–Kamehameha Maui: Tai Kauhaa-Po 2-4, run, RBI; Moleta 2-4, 2 runs. Maui High 7, Kamehameha Maui 6, 8 inn. Lanai at Molokai, 10 a.m.
Hana vs. St. Anthony at Maui High, 10 a.m.
Maui High vs. Kamehameha Maui at Maehara Stadium, 5:30 p.m.